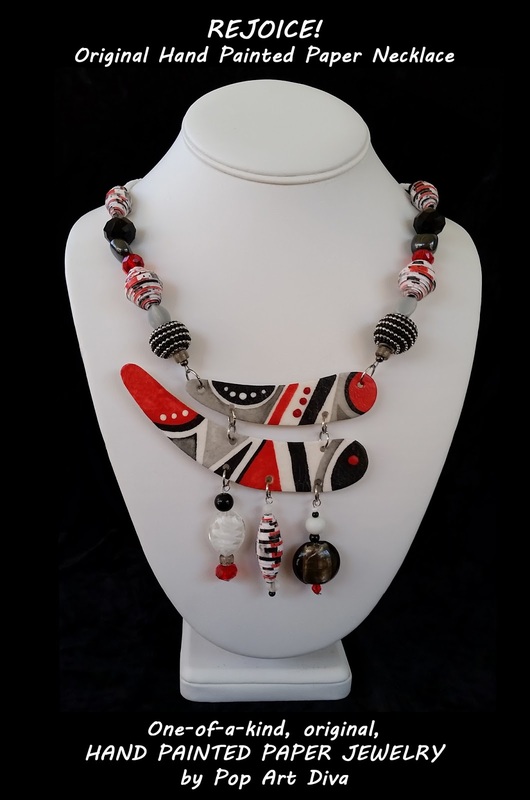 "REJOICE" is a contemporary paper statement necklace that features paper pendants with original, abstract watercolor paintings in black, red and gray set against the natural white tones of the watercolor paper. 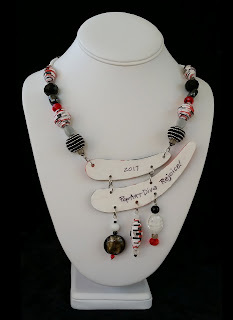 The crescent shaped painted pendants are flanked by specialty beads in coordinating red, black, gray and white and my hand painted watercolor paper beads painted to match with additional glass bead accents. The bottom pendant features 3 dangles with specialty glass beads and another matching paper bead. The top painted pendant measures 3-1/8" wide by 5/8" high and the bottom pendant measures 4" wide by 3/4" high. The pendants are 1/32" thick. Signed and dated with the inspirational message "Rejoice" on the back. 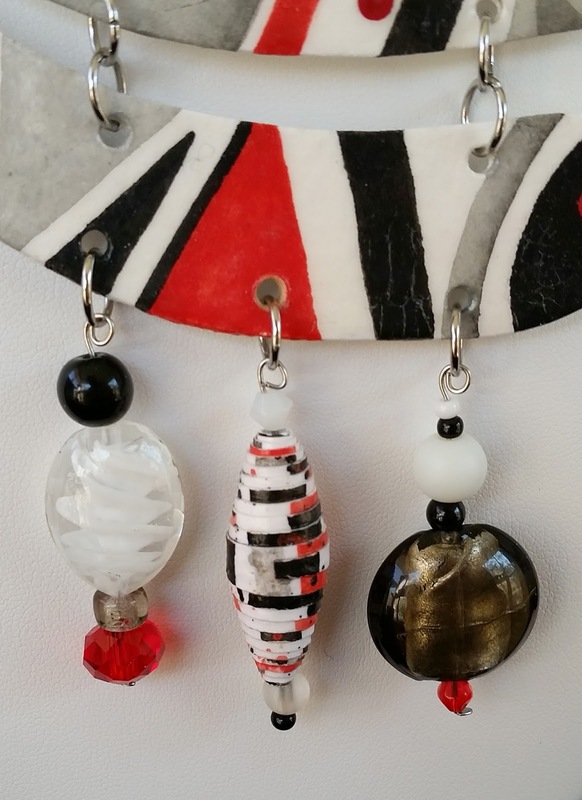 Glass, specialty glass and hand painted paper beads, nickle free findings. 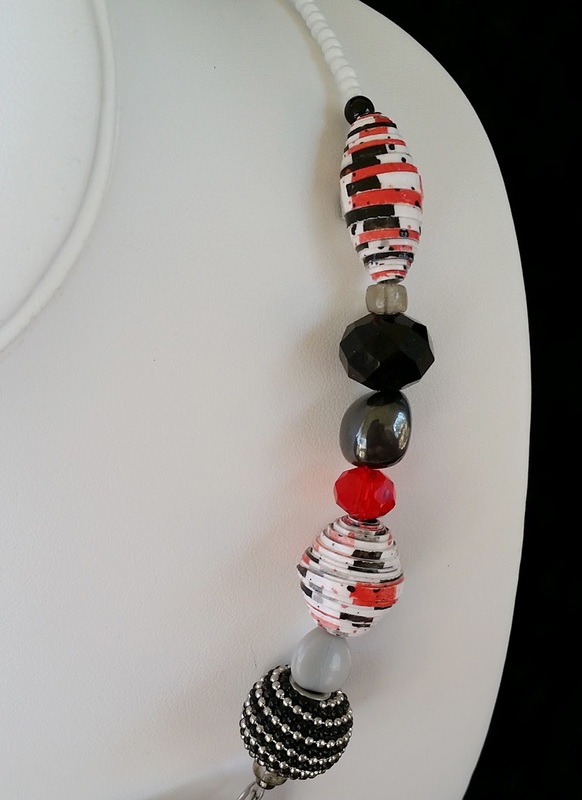 Necklace length including clasp is 22-1/4".